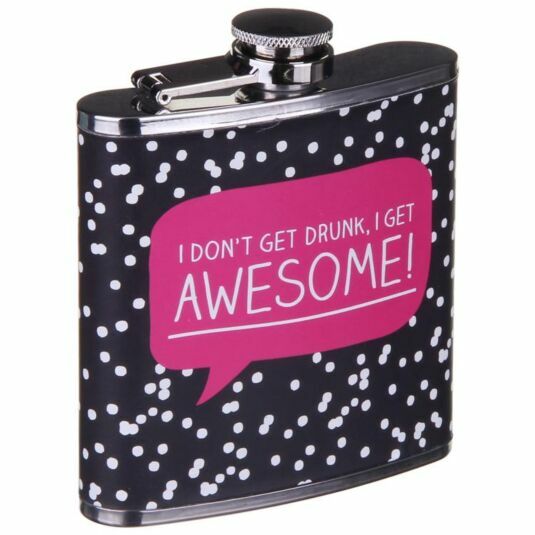 Make a statement when you drink with this fun little hip flask from Happy Jackson! 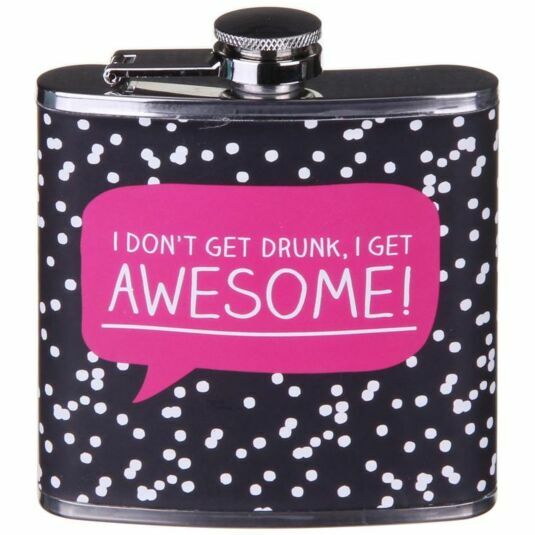 Keep it with you whenever you might need to become even more awesome! 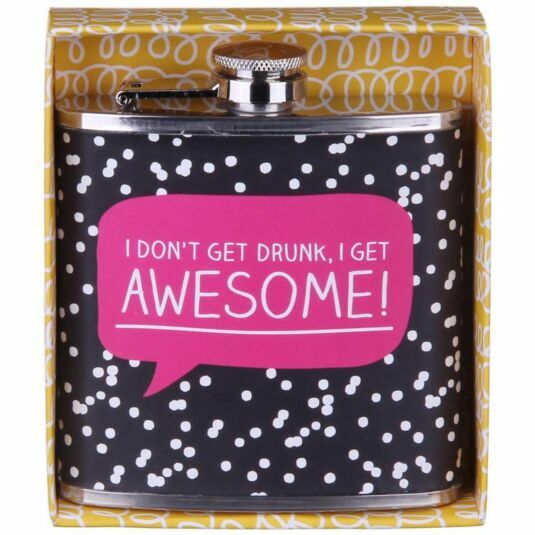 The speech bubble on the side reads 'I DON'T GET DRUNK, I GET AWESOME!'. It is made from stainless steel, and comes with a traditional screw cap. This would make a great gift for anyone who likes to wet their whistle, be it someone you know, or (naturally) yourself!